The third GOP debate may stand as a make or break event for faltering GOP front-runner Donald Trump. While other candidates are looking to put themselves on the map and make an impact on Republican voters, Trump is simply out to preserve a lead that's fast slipping away from him. More and more people appear to be placing their trust in other candidates, including former neurosurgeon Dr. Ben Carson, who is now at a full four point lead against Trump in a recent CBS/New York Times poll. Donald Trump's GOP debate disappearing act isn't helping his chances to regain those numbers, either. Trump began the debate on shaky footing, addressing the opening question — "What is your biggest weakness and what are you doing to address it?" — with an ominous, almost threatening response about how he trusts people too much and how he has a difficulty to forgive. His next response detailing his plan to build a massive border wall and have Mexico pay for it felt more like posturing than a legitimate outline of immigration reform. The real estate mogul appeared to lack substance throughout the debate, at one point prompting CNBC moderator John Harwood to ask, "Let's be honest. Is this a comic book version of a presidential campaign?" Likewise, Trump's speaking opportunities during the third debate were few and far between. The candidate's grand disappearing act has come about thanks to a marked decrease in time during the third GOP debate. Viewers are most certainly taking notice. Prior to the third debate, Trump was leading in overall talk time for both the CNN and the Fox News debate. He spoke nearly 19 minutes during the first debate and a full 19 and a half minutes during the second debate. Wednesday night's event marks a major change for a candidate who now desperately needs whatever time he can take to stay relevant and stay on top of the GOP presidential race. He's been frequently mentioned to other candidates, however. At one point, Mike Huckabee even defended Trump despite stating he's tired of answering questions related to the businessman. "I love Donald Trump, he's a good man. I'm wearing a Donald Trump tie tonight," Huckabee said to applause. He then went on to praise his fellow candidate, stating that Trump would make a far better president than Democratic front-runner Hillary Clinton. The boost from Huckabee may not be enough for Trump to recover, however. Everybody said it was going to be three hours, three-and-a-half hours, including them, and in about two minutes I renegotiated it down to two hours so we can get the hell out of here. Not bad. And I'll do that with the country. We will make America great again. Trump is not only receiving less time than in previous debates but seemingly wasting it with insubstantial statements and making clear he's not interested in the debate itself. 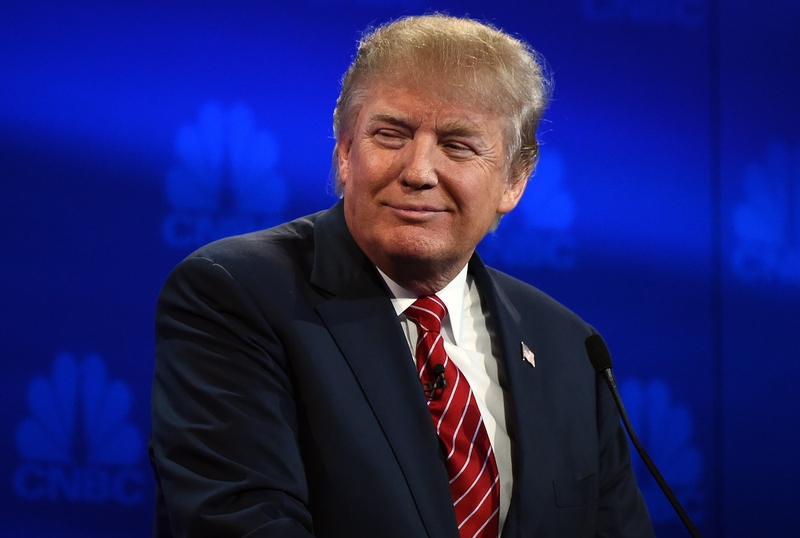 Given his performance a the CNBC debate, the candidate may very well disappear from the campaign trail altogether if his poll numbers continue to drop.